My friends have told me that my ginger cookies have positively changed their lives, and discerning palates have labelled them no less than "The best cookie I've ever eaten." One bite and they are intoxicated by the burst of flavour and the love baked into every chewy crumb. 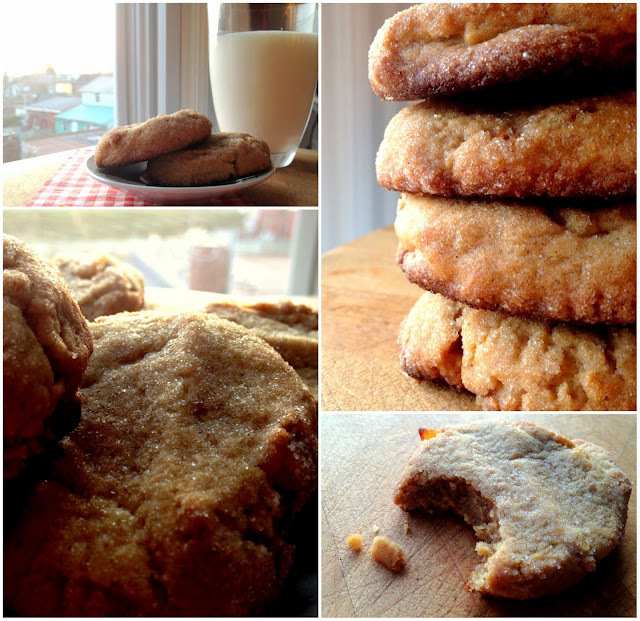 These cookies have such charisma, they have received fan mail and requests for the recipe have cluttered my inbox. They boast a golden crust that has the obligatory snap, but the snap yields to the soft, chewy, candied-ginger-studded centre - a combination that in my experience has lifted spirits, cemented friendships, gotten jobs and removed clothing. Picnics love these cookies - as do bake sales, study sessions and work breaks. No matter where you bring them, they are sure to lift the mood with their gingery, buttery perfection. I chanced upon this recipe in university while sifting through the delightfully retro Pillsbury Kitchens' Cookbook - I believe I bought it at a garage sale. It is a well-used and well-loved cookbook perused by many floury fingertips and the inside cover says: "Heather MacBeth July 6, 1984" in careful script. 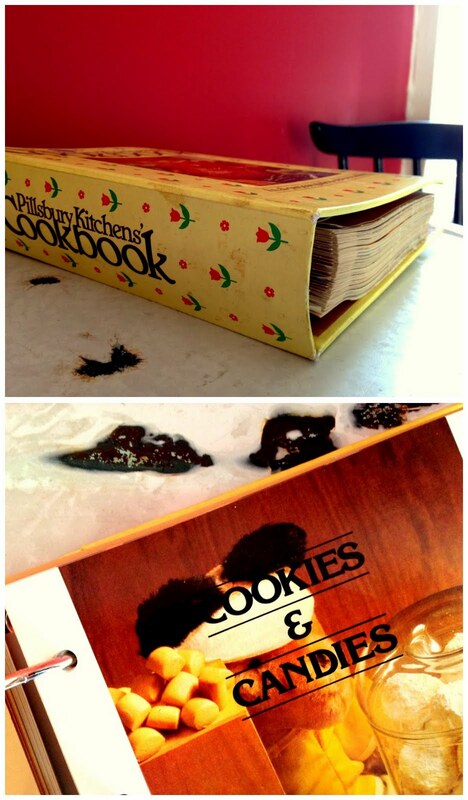 Its pages are filled with a satisfying 'old book' smell and recipes that are tabbed and 'Nutri-Coded' (Pillsbury was the first major food company to add nutrition information to its consumer product labels). There is a chapter on 'Microwave Cooking' and a chapter on 'Bake-Off Classics' with enough jelly roll cakes, maraschino cherry and coconut recipes to pave the way back in time to 1979 - the year the book was first published. Nestled among the Dream Bars and the Coconut Meringue Macaroons there is gingersnap recipe gold. I remember randomly choosing to make these cookies and then deliberately choosing to make them as often as my university baking budget would allow. I've been naughty and eaten a whole tray while studying. I've been naughtier and made ice cream sandwiches with them. I have yet to be really naughty and make them into a pie crust. 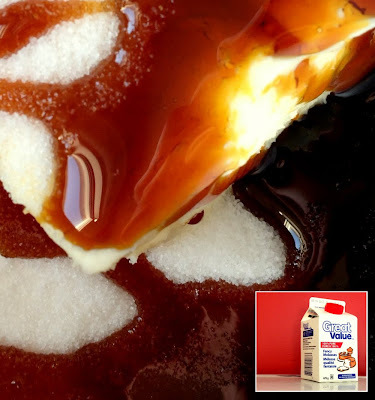 Soft salted butter meets molasses and vanilla sugar. This is the foundation. Flour is sifted and cinnamon, powdered ginger and cloves are added for spice. Candied ginger is finely chopped and mixed into the batter for that little burst of sweet heat as you bite down.The batter is delicious on its own. 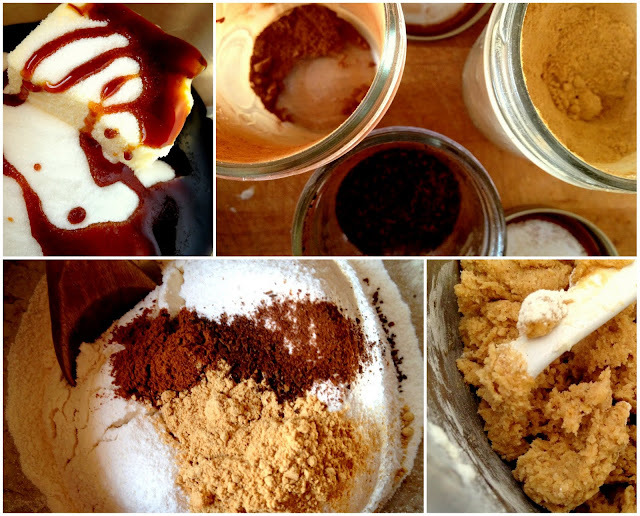 I use a retractable ice-cream scoop to shape the cookies. They are rolled in vanilla sugar and then pressed down slightly by hand. You can make smaller cookies, but there is something so satisfying about the thickness of a cookie this size. It fits perfectly in your hand and has the best weight for dipping into cold milk. The cookies are baked until the tops are slightly golden. It is important to remember that cookies continue to bake on the sheet once you take them out of the oven, so err on the side of under-baked (about 8 min) - this is what yields that soft inside, which you do not want to miss. Cream sugar, butter and molasses. Add egg and combine. In a separate bowl, combine sifted flour, baking soda and spices. Stir into butter mixture until just combined. Fold in candied ginger pieces. Chill dough if necessary before shaping into 1 1/2-2" balls (recipe makes about 16 of this size). Roll the dough in sugar and space 2" apart on a greased or parchment-lined baking sheet. Press dough down slightly with fingers. Bake until the edges are set and the tops are lightly golden, approximately 8 min. Careful not to over-bake - better to remove from the oven a minute early and allow cookies to continue baking on the cookie sheet. Remove from sheet once firmed up a bit and allow to cool slightly before the obligatory taste-test. These cookies are delicious warm from the oven, and keep well in a container with a tight-fitting lid (if they last that long). These cookies taste like contentment feels - and might just gain you an admirer or two. Yum! Love using spices in my baking and these cookies look delicious. Thanks for sharing - you have such a lovely blog! I made these last week and they were delicious. They didn't keep their shape the way yours did and got really flat, but were delectable nonetheless. One of my intrepid housemates softened some vanilla ice cream, stirred a crumbled cookie in and re-froze it for us to try the next day. AMAZING! The cookie flavoured the ice cream so you got that ginger bite before you even got to some cookie goodness. Thanks again for sharing!